Earlene Thompson was born on March 18, 1937 to the union of Mattie and Earl Gilbert, Sr. of Alcoa, Tennessee. 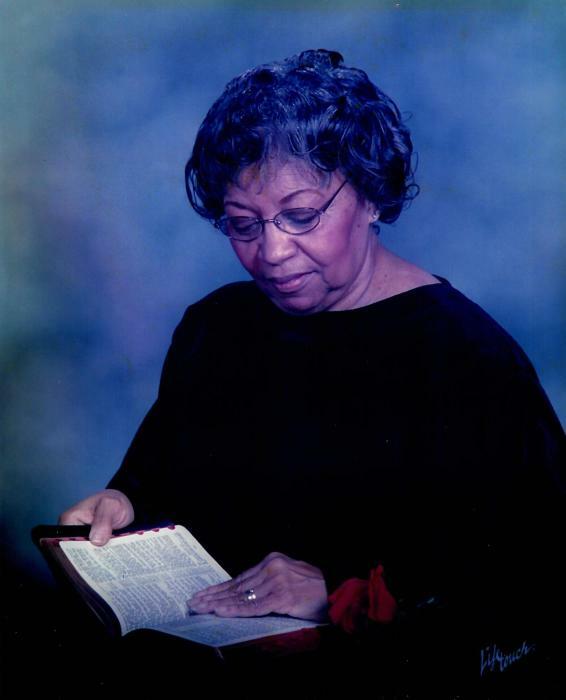 She accepted the Lord at an early age at the Lincoln Heights Baptist Church under the pastorate of Rev. R. D. Wess. She married James Thompson and from that union two children were born, Mechelle Denise and Kevin Lamont Thompson. Earlene graduated from Lockland Wayne High School. After high school Earlene worked hard to become a licensed practical nurse. She was employed at the Rockdale Medical Center for 20 years working for Dr. B. Pembaur. She also worked at Longview Hospital for many years until she retired. She also worked at Mt. Auburn Medical center for 15 plus years. Her last employment was at the Society of the Transfiguration in Glendale where she took care of the retired nuns. She also was a faithful member of Tabernacle Baptist Church until they relocated. Earlene loved to help people and she kept a smile on her face. She will truly be missed. She leaves not to mourn but to cherish her memory her children Mechelle Turner and Kevin Thompson; siblings Shirley Boggs (William), Earl Gilbert, Jr. (Anette), Paul Gilbert (Phyliss), Marlyin Gilbert, Lagretta Orange (Darrell), Romona Brown (Terrry), Beverly Keene (Clarence); special grandson and granddaughter she raised Brian Thompson and Tamica Rasool; other grandchildren Ronald Turner, II, Shannon Turner (Chriselle), Ronnesha Turner, Mike, Jr. (Monica), Chiarra Freeman (Wayne), Tonya Chapman, LaToya Chapman, Sonya George (Steven), Jeremy Thompson (Nicole); a special great grandson and great granddaughter Brandon Thompson and Jala Keller and Dakarai Rasool; 27 great grandchildren; 1 great great granddaughter Ari Williams; nephews Brandon and Andre Williams and a host of other family and friends.